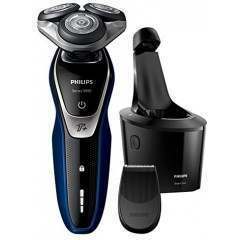 Get a comfortable dry or refreshing wet shave with the Philips AquaTouch Wet & Dry electric shaver. 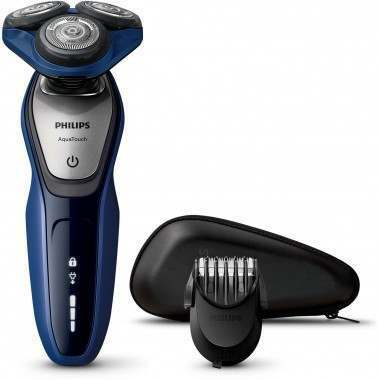 Rounded tips prevent nicks and cuts as you shave, preventing any lasting skin irritation. 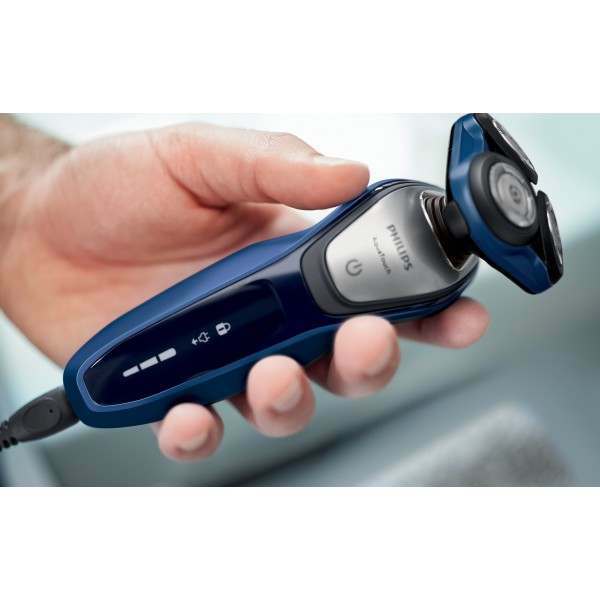 Customise your style with the Click-on Beard Styler; 5 different length settings let you trim and style your facial hair to achieve the look you desire. 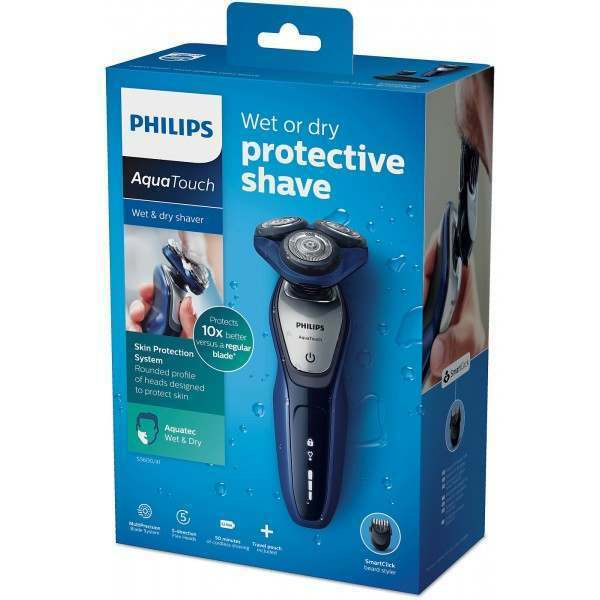 The Aquatouch shaver protects your skin while you enjoy a refreshing shave. 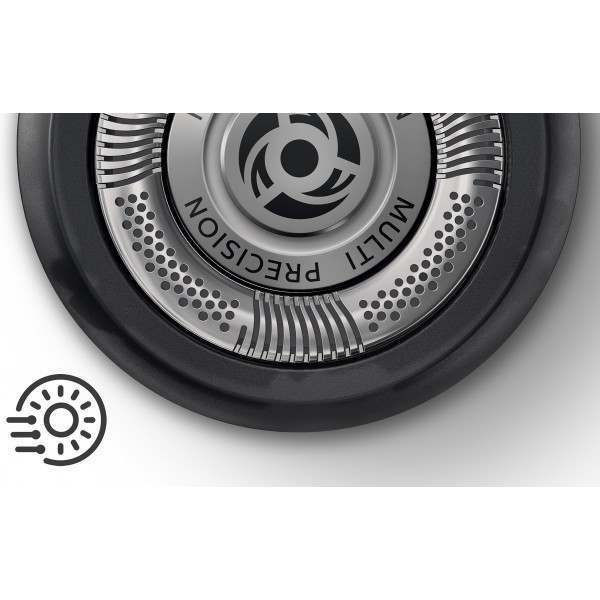 Our Multi-Precision Blade System with rounded profile heads glides smoothly across, and its designed to protect your skin. 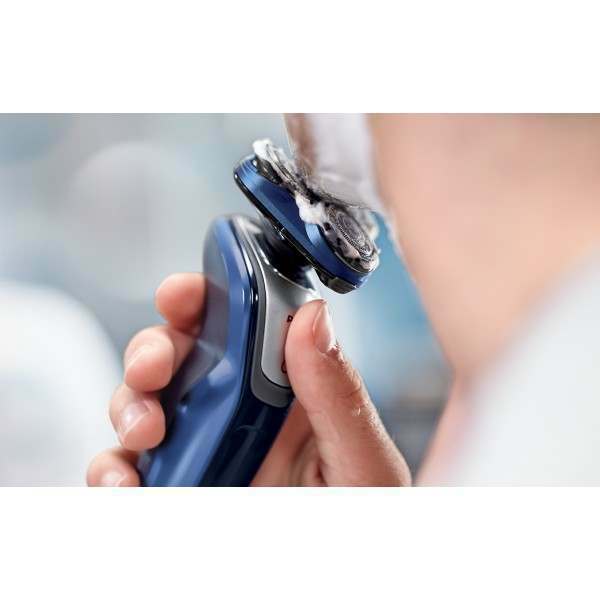 The MultiPrecision Blade System features rounded head profiles which glide smoothly across the skin whilst protecting it, shaving closely without nicks and cuts. 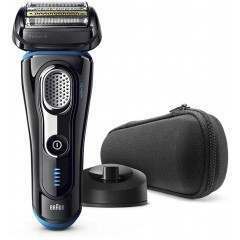 Get a comfortable shave whether you shave wet or dry. 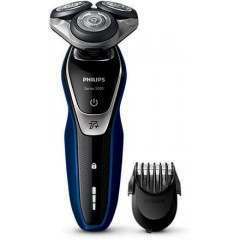 However you choose to shave is up to you, but the Philips AquaTouch won't let you down either way. 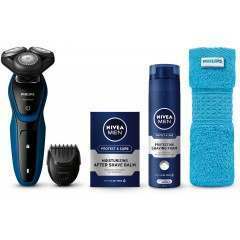 Shave wet with gel or foam and even under the shower, or opt for a dry shave for ultimate convenience. The 5-directional flex heads have 5 independent movements which ensure close skin contact for a fast, clean and close shave, even on the neck and jaw line. 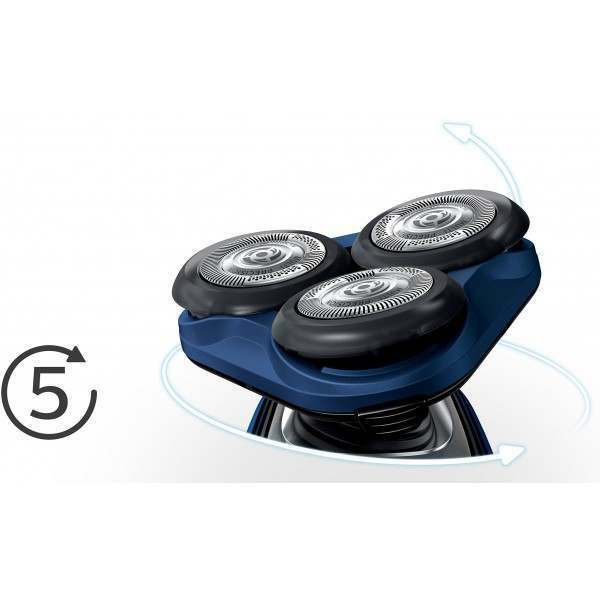 The click-on beard styler comes with 5 length settings, enabling you to switch up your look with the SmartClick attachments. Choose from 5-length settings to create any look from the perfect stubble to a short, neatly trimmed beard. 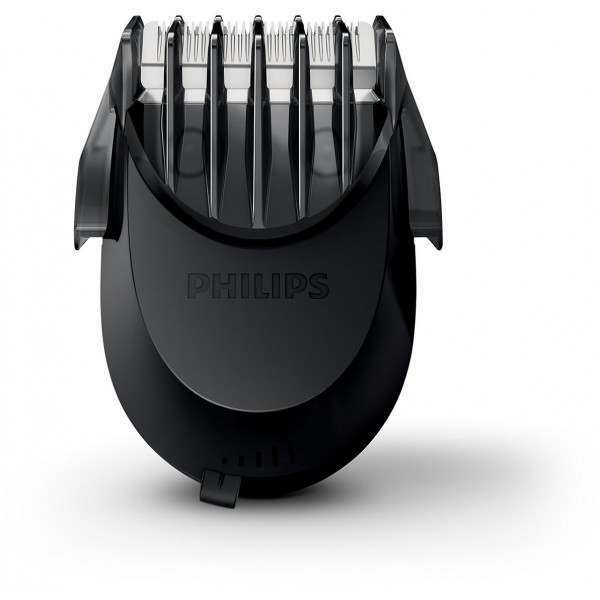 The rounded tips and combs are designed to help prevent skin irritation. 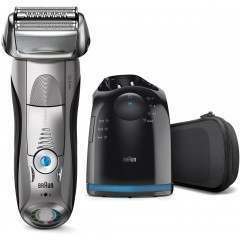 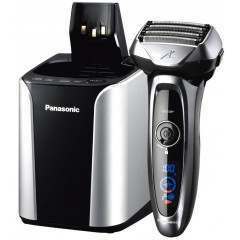 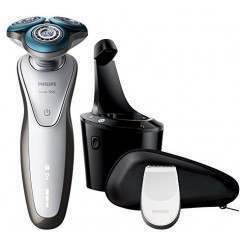 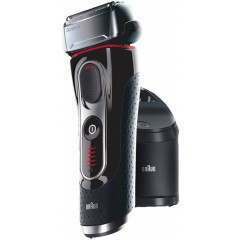 Enjoy up to 50 minutes of cordless shaving (approximately 17 shaves) on just a 1-hour charge. 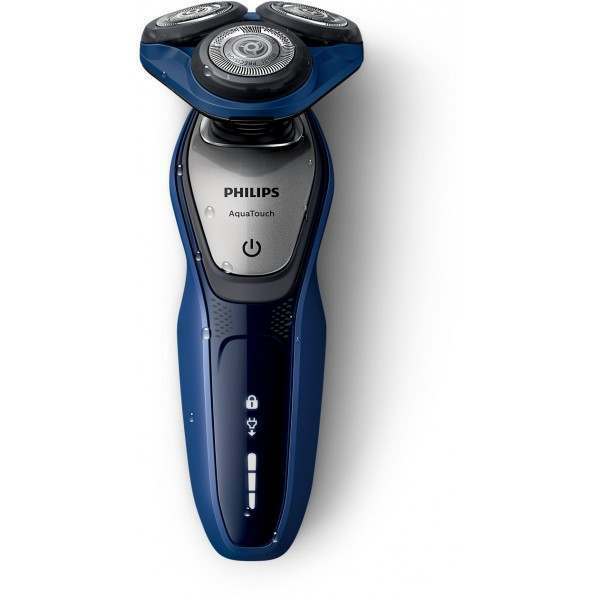 A quick 5-minute charge will give you enough power for just one shave.